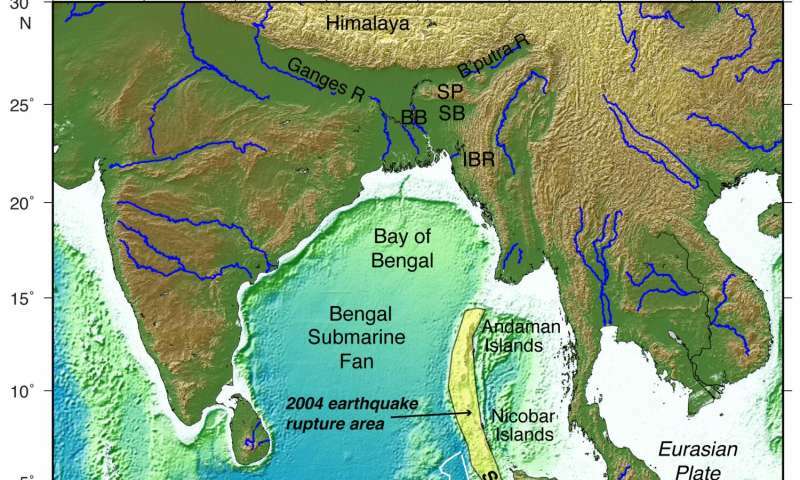 An international team of scientists has found evidence suggesting the dehydration of minerals deep below the ocean floor influenced the severity of the Sumatra earthquake, which took place on December 26, 2004. The earthquake, measuring magnitude 9.2, and the subsequent tsunami, devastated coastal communities of the Indian Ocean, killing over 250,000 people. 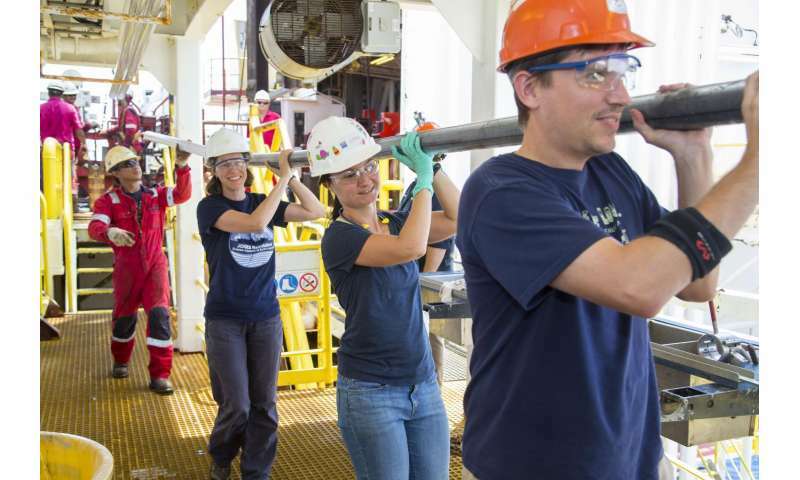 Research into the earthquake was conducted during a scientific ocean drilling expedition to the region in 2016, as part of the International Ocean Discovery Program (IODP), led by scientists from the University of Southampton and Colorado School of Mines. During the expedition on board the research vessel JOIDES Resolution, the researchers sampled, for the first time, sediments and rocks from the oceanic tectonic plate which feeds the Sumatra subduction zone. A subduction zone is an area where two of the Earth's tectonic plates converge, one sliding beneath the other, generating the largest earthquakes on Earth, many with destructive tsunamis. 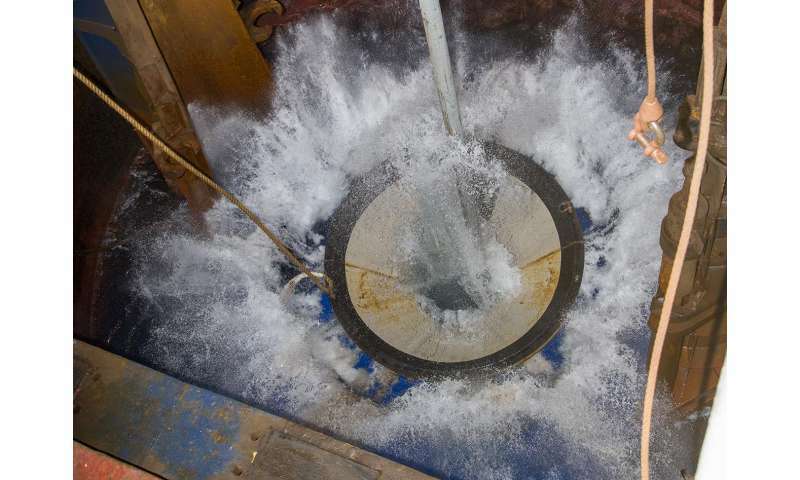 Findings of a study on sediment samples found far below the seabed are now detailed in a new paper led by Dr Andre Hüpers of the MARUM-Center for Marine Environmental Sciences at University of Bremen - published in the journal Science. Expedition co-leader Professor Lisa McNeill, of the University of Southampton, says: "The 2004 Indian Ocean tsunami was triggered by an unusually strong earthquake with an extensive rupture area. We wanted to find out what caused such a large earthquake and tsunami and what this might mean for other regions with similar geological properties." 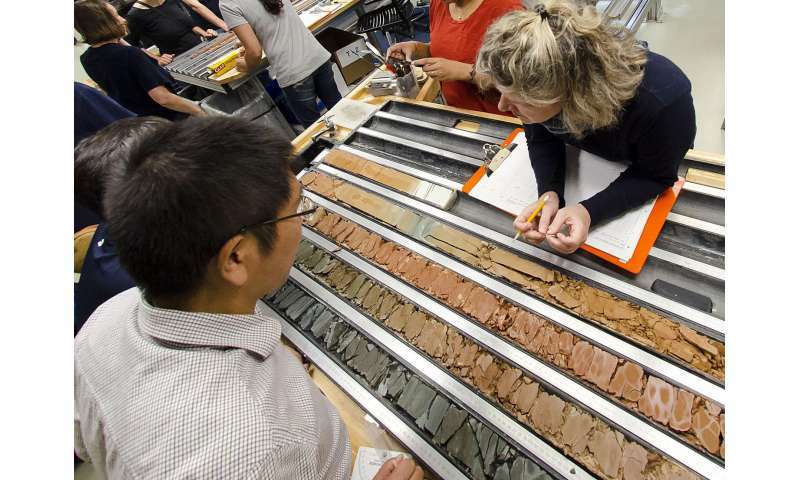 The researchers found that the sediments on the ocean floor, eroded from the Himalayan mountain range and Tibetan Plateau and transported thousands of kilometres by rivers on land and in the ocean, are thick enough to reach high temperatures and to drive the dehydration process to completion before the sediments reach the subduction zone. This creates unusually strong material, allowing earthquake slip at the subduction fault surface to shallower depths and over a larger fault area - causing the exceptionally strong earthquake seen in 2004. Dr Andre Hüpers of the University of Bremen says: "Our findings explain the extent of the large rupture area, which was a feature of the 2004 earthquake, and suggest that other subduction zones with thick and hotter sediment and rocks, could also experience this phenomenon. "This will be particularly important for subduction zones with limited or no historic subduction earthquakes, where the hazard potential is not well known. Subduction zone earthquakes typically have a return time of a few hundred to a thousand years. Therefore our knowledge of previous earthquakes in some subduction zones can be very limited." Similar subduction zones exist in the Caribbean (Lesser Antilles), off Iran and Pakistan (Makran), and off western USA and Canada (Cascadia). The team will continue research on the samples and data obtained from the Sumatra drilling expedition over the next few years, including laboratory experiments and further numerical simulations, and they will use their results to assess the potential future hazards both in Sumatra and at these comparable subduction zones.